If you have a household appliance that has stopped working, it's possible that it has blown a fuse. 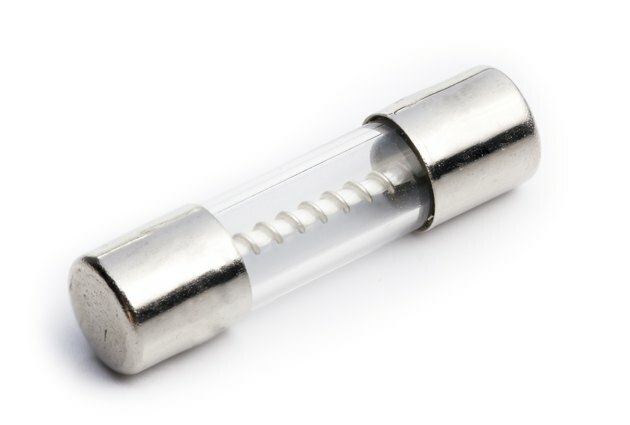 Many fuses are made of glass and can be replaced if you're able to identify them. 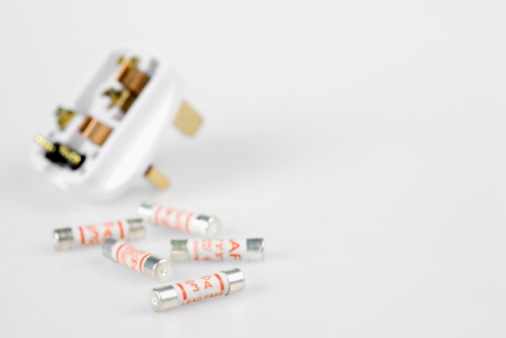 A number of physical observations can be made about the average fuse to assist in determining what type it might be. In addition, many fuses have markings that identify their element speed, voltage rating or manufacturer information. Fuses come in many types and sizes. One such type is glass fuses, which may also be slow-blow fuses or fast-acting fuses. It's essential that you replace a blown fuse with another of the same type. Slow-blow fuses are able to accommodate a heavier power load, but they can only do so for a short time. On the flip side, fast-acting fuses blow quickly so that they can open an electrical circuit. To identify the type of fuse you need to replace, you could refer to a fuse identification chart. You can also follow some basic strategies for determining its traits. Start by examining the bottom of the fuse where the tube is sealed by metal. Oftentimes, there's text printed on this part of the fuse. You may be able to read it with the naked eye or you may have to use a magnifying glass to decipher it. You may be able to tell the material that a fuse is made of even without seeing the markings on one end. Fuses are commonly made of glass, plastic or ceramic. From touching or looking at the object, this might become apparent. If the text on the fuse reads "AG," you'll know that you're dealing with a glass fuse. On the opposite end from this marking will be the voltage reading. It's essential that you replace a fuse with another of the same voltage reading to protect the integrity of your household appliance. Fuse speed markings are also commonly included on the outside of a fuse. Generally speaking, smaller fuses tend to use letters like F, M or T and larger fuses identify the element speed using codes like gL, gG or aM. Other fuses use terms like slow acting or fast acting. If no element speed is marked, you'll need to identify the manufacturer of the fuse and use other noted information to determine its speed. Voltage readings are usually printed on a fuse. They may indicate the voltage for both AC and DC currents or one or the other may be noted only. The reading may appear as "32VDC," for instance, to indicate a 32-volt fuse when used on a DC currently. Another fuse could read "600VAC/450VDC" to indicate a fuse capable of 600 volts on an AC current and 450 volts on a DC current. What Is the Function of a Thermocouple?